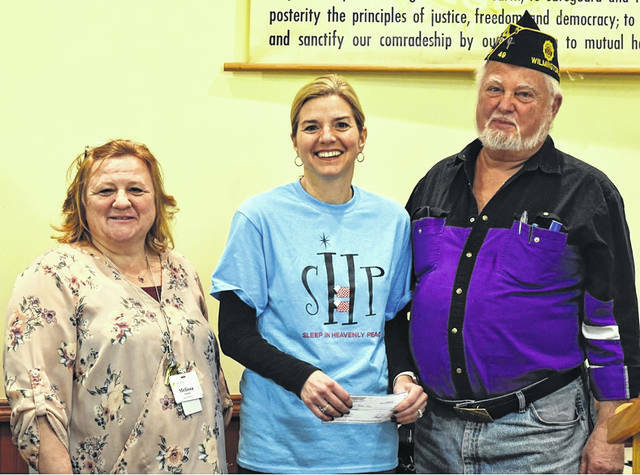 American Legion Post 49 Commander Jim Cook recently presented a check for $3,500 to Carrie Zeigler, Wilmington Chapter Co-President of Sleep in Heavenly Peace. The money will be used to buy materials to make beds for those local children who currently do not have an adequate sleeping environment. Also pictured, at left, is Melissa Puckett.